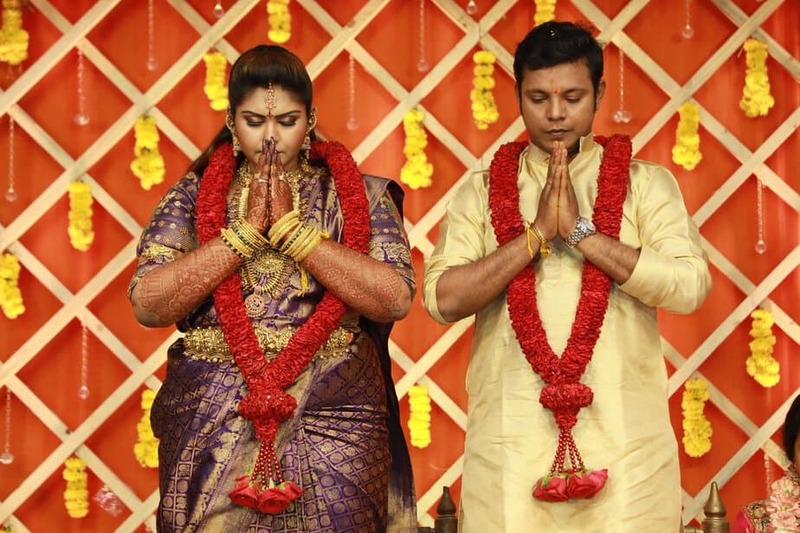 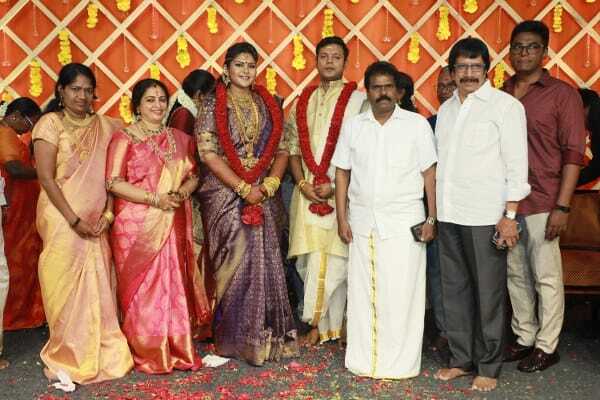 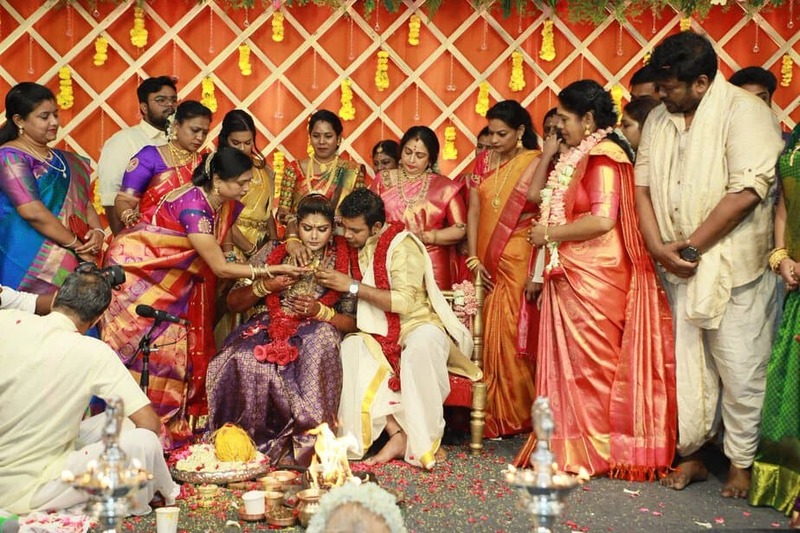 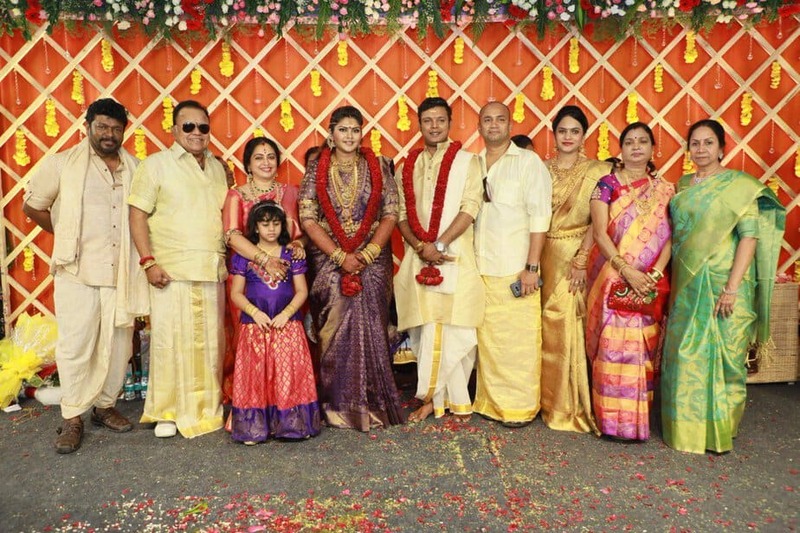 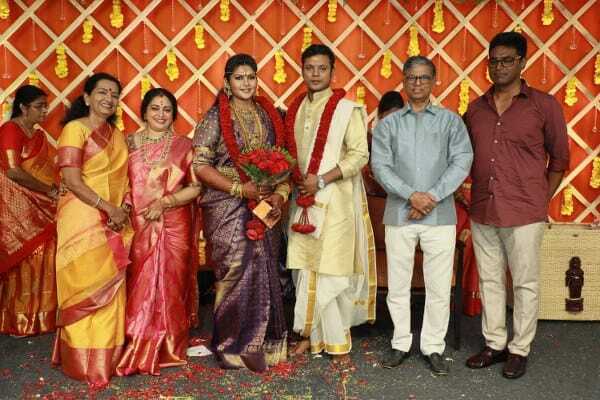 Parthiban and Seetha’s elder daughter Abhinaya got married to Naresh Karthik on Sunday. 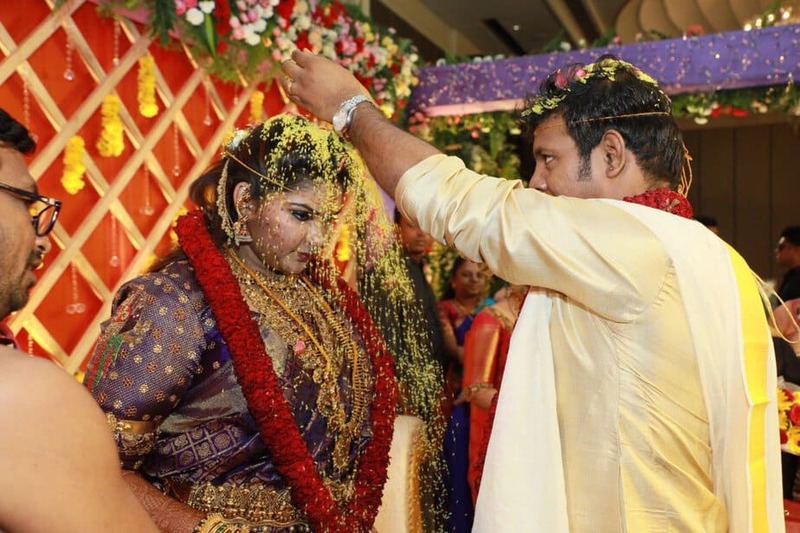 On her big day, Abhinaya wore a purple and gold Kanjeevaram saree paired with matching elbow length sleeves embroidered blouse. 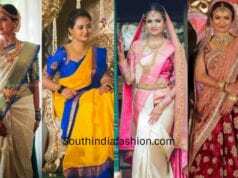 Traditional gold jewellery complemented her look. 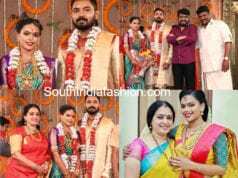 The groom was seen in a traditional dhoti kurta. 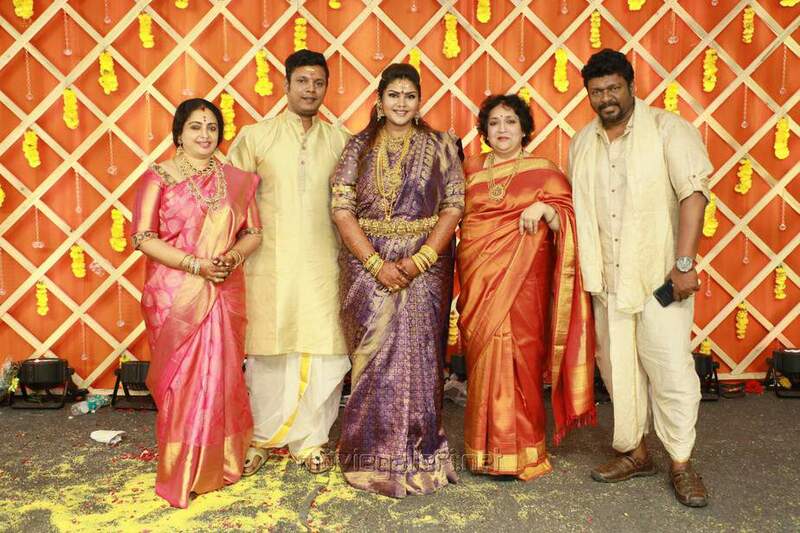 Abhinaya’s mother Seetha opted for a pink and gold kanjeevaram saree. 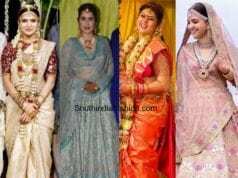 Scroll down for more pics..
Five Kannada Actresses Who Looked Stunning On Their Wedding Day! 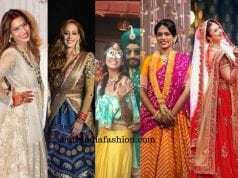 4 Celebrity Brides of 2018 Who Looked Stunning On Their D-Day!